Deputy Commissioner Syed Aabid Rashid Shah today chaired a meeting of officers of various departments to take stock of arrangements put in place by divisional administration in wake of flood like situation due to the inclement weather in the Valley. 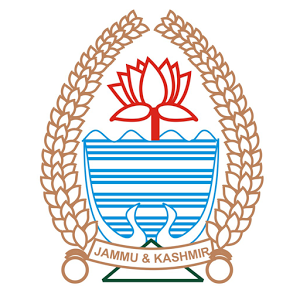 The meeting was informed that the divisional administration, Kashmir, have set up 44 relief centers in Srinagar where the people can be shifted in case of flood. It was given out in the meeting that 2294 quintals of rice, 10 quintals Pulses and 437 LPG cylinders have been kept available at flood relief centers set up at various locations of the city. Likewise 500 tents and 8500 blankets have also been kept available in these centers to meet any exigency, the meeting was told. The meeting was further informed that SMC has kept available 23 de-watering pumps at the sites where water logging is expected due incessant rains, while five more high-power de-watering pumps are being made available at water logging prone areas. Apart from this, 10 mobile toilets have also been put in place at those centers where these facilities were not available, the meeting was further told. The meeting was informed that doctors and Para medical staff has already been deployed on these centers with availability of adequate medicine.In order to fill up breaches of river Jhelum embankments immediately, 116000 sand filled bags have been kept ready to meet out any emergency. These sand bags have been kept available on various vulnerable sites on the banks of river Jhelum. The meeting was informed that the district administration will soon launch a massive demolition drive against those who have encroached land near Sewage Treatment Plant (STP) Brari Nambal. The vice chancellor LAWDA, DIG Police (Central), deputy director tourism, chief engineer irrigation and flood control, commissioner SMC, additional deputy commissioners, Srinagar, director disaster management, deputy director FCS&CA, superintending engineers of R&B & PDD and senior officers of the line departments were present in the meeting.